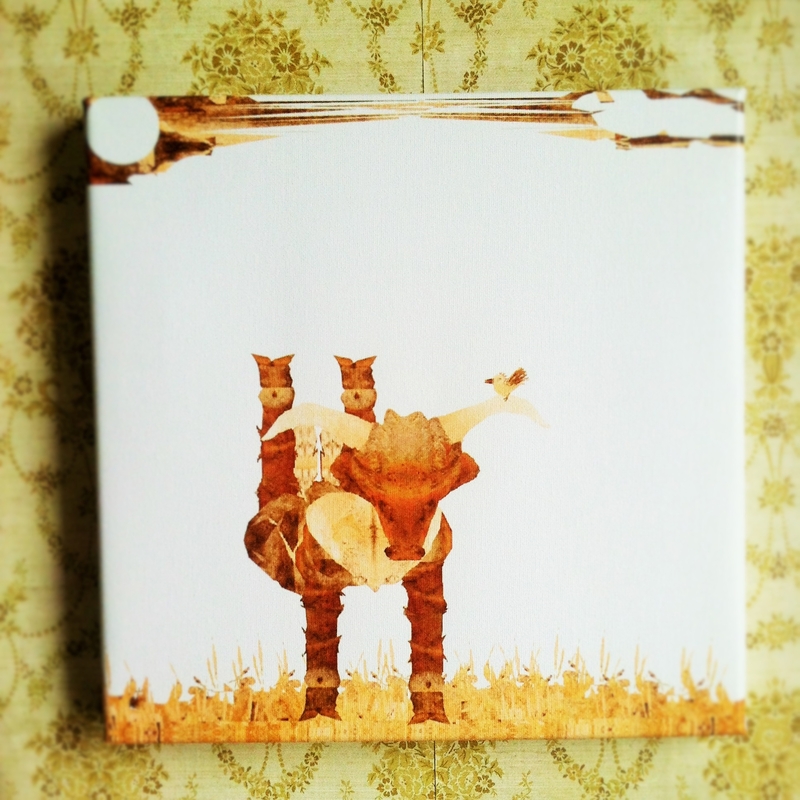 below are some of the canvases that have been arriving, & are available for sale. the backdrop is some pretty fancy wallpaper, eh? in this quaint old hotel in this quiet farm town, Pleasureville, KY.
you know what else is really quaint? there are no overhead lights in the place. so, i do apologize about the lighting! i am only ever going to produce two canvases of any drawing i make. the sizes available widely range. 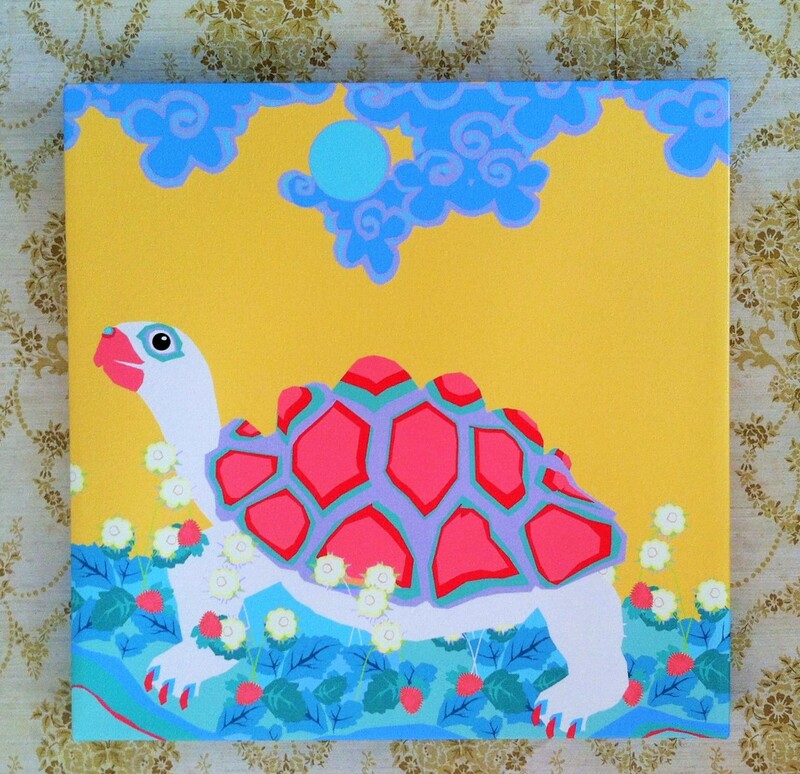 for example, this is the only ‘Turtle’ left for sale, because i already sold one to the people who commissioned a copy. and one ‘Echo’ has been sold, and one ‘Pleasureville’. 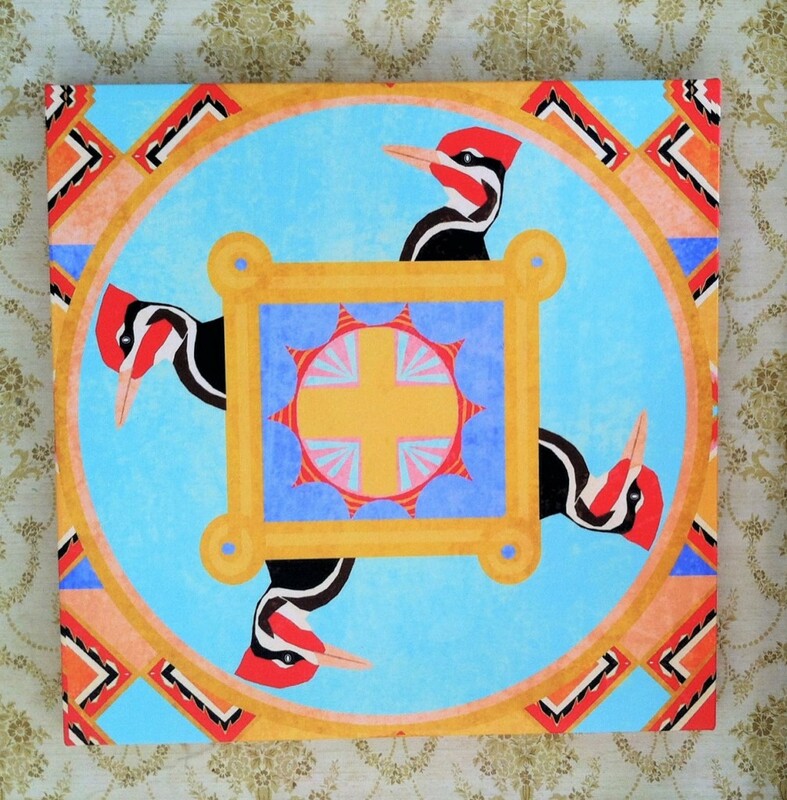 Yuchi Wind Bree 11.30.15 16×16″ Drawn on Paint, enhanced with Fotor, based on a stone gorget from 1000 AD by a tribal people who respected the sun and revered the pileated woodpecker, this is the first copy made. 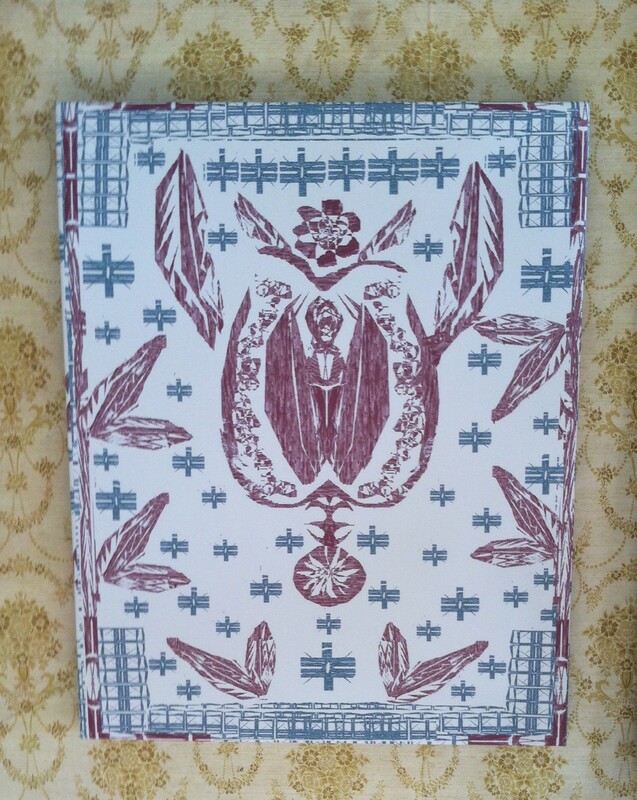 The Feen Bree 11.30.15 16×16″ Drawn on Paint, based on an imaginary people who ween eaglets, first copy made. Pleasureville Bree 12.5.15 11×14″ Drawn with Paint, a self-portrait American Gothic style, tongue very much in cheek, one copy sold, last available copy. 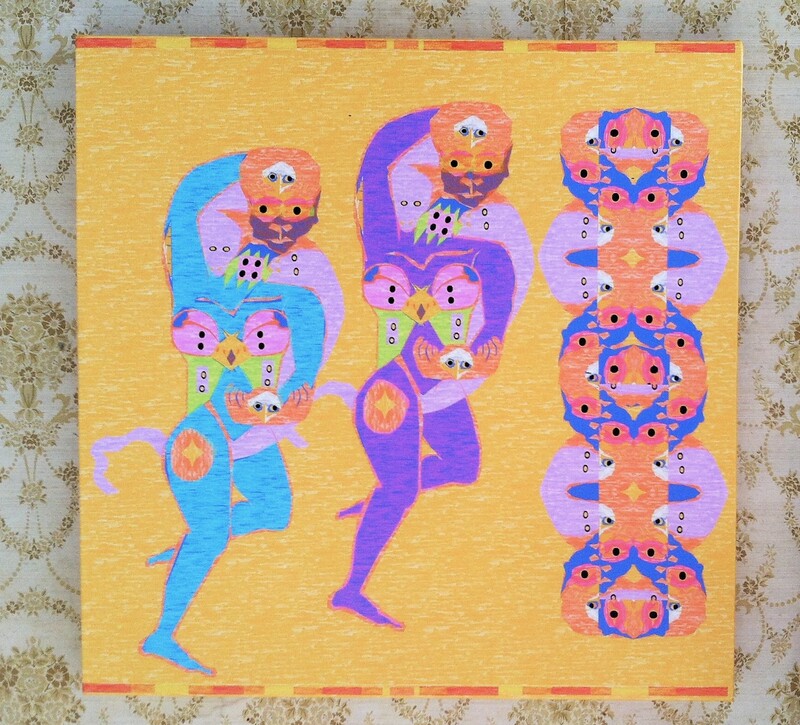 Cybele Dancers Bree 12.20.15 12×12″ square. Collage made from a single photograph of a petroglyph, cut and pasted on Paint; Cybele is an ecstatic “Mother of the Mountains,” first copy made. Young Bull Bree 12.17.16 12×12″ square. Collage made from a single photograph of a Sculpture of a Woman, on Paint, enhanced with Fotor, first copy made. 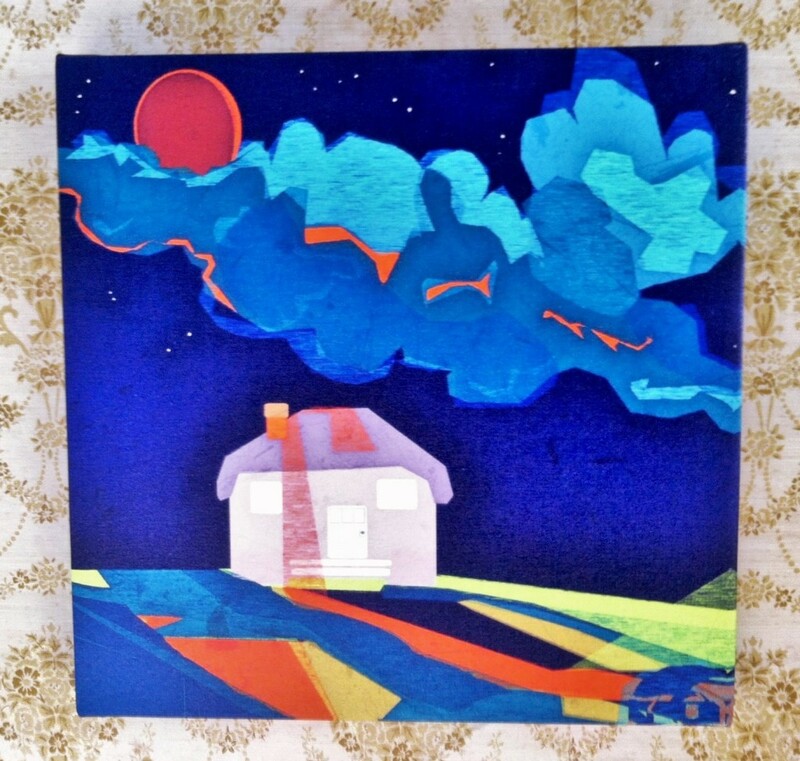 House of the Rising Sun Bree 12.29.15 12×12″ square. 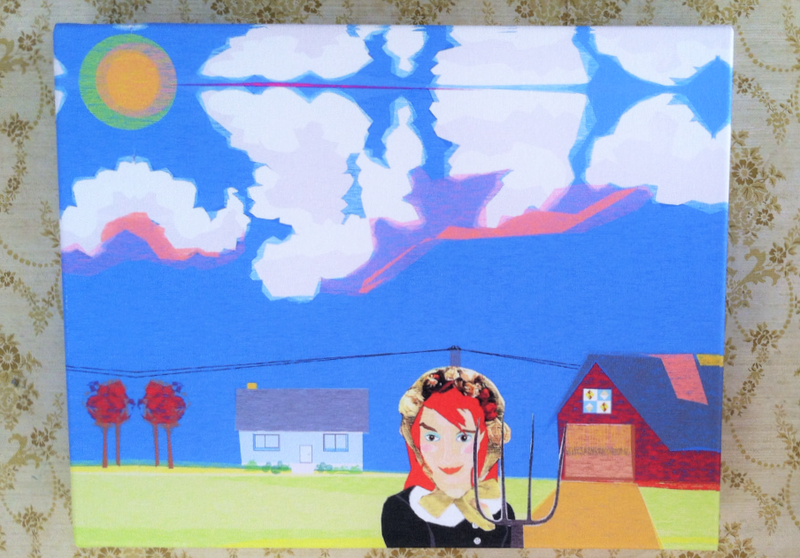 Drawn on Paint, based on quilt motif spread over a field i saw during a Pleasureville sunrise, this is the first copy made. Guardians Bree 9.10.15 18″x12″ based on the war goddess Sekhmet, drawn on Paint, enhanced with Fotor, this is the first of two copies. Diana Bree 7.15.15 8×10″ OR 12″x18″ available. Drawn on Paint, enhanced with Fotor, a look at the goddess as prone and vulnerable, as each woman is even as she is mighty and strong. 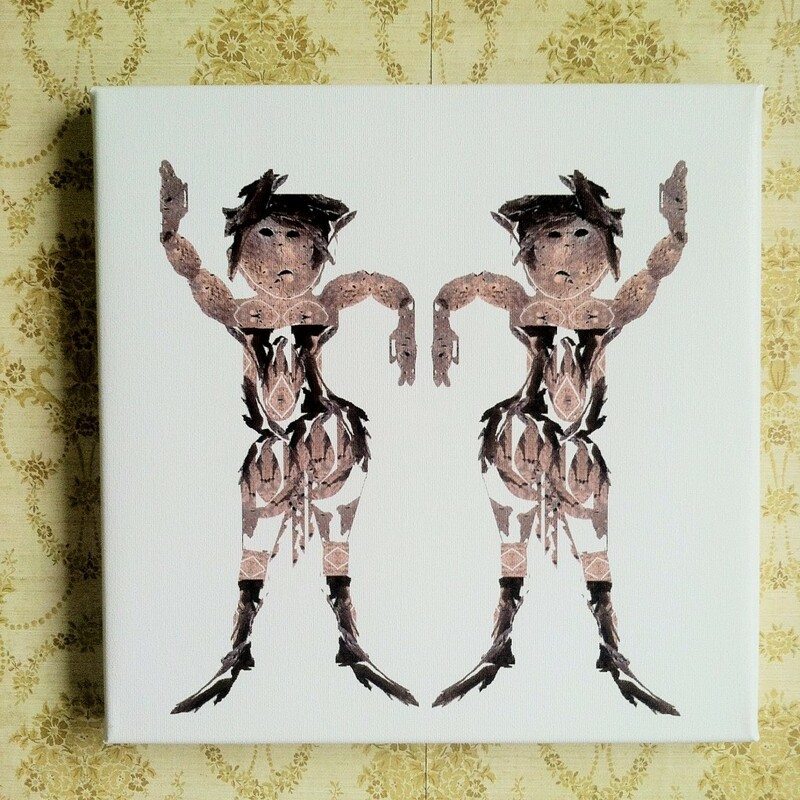 Coyote Tricksters Bree 7.15.15 18″x12″ Imagining the Native American folklore hero coyote trickster as a woman. This is the first copy made. Echo Bree 8.1.15 11×14″ Drawn on paint, a representation of Echo and Narcissus, that with love giving pleasure is as gratifying as receiving, this is the second and last copy made. Maldives Bree 12.19.15 16×20″ Drawn on paint, color changed with Fotor, a play on tribal pinball erotica, this is the first copy made. Easter Bree 12.19.15 16×20″ Drawn with Paint, a play on tribal, pinball erotica, this is the first copy made. 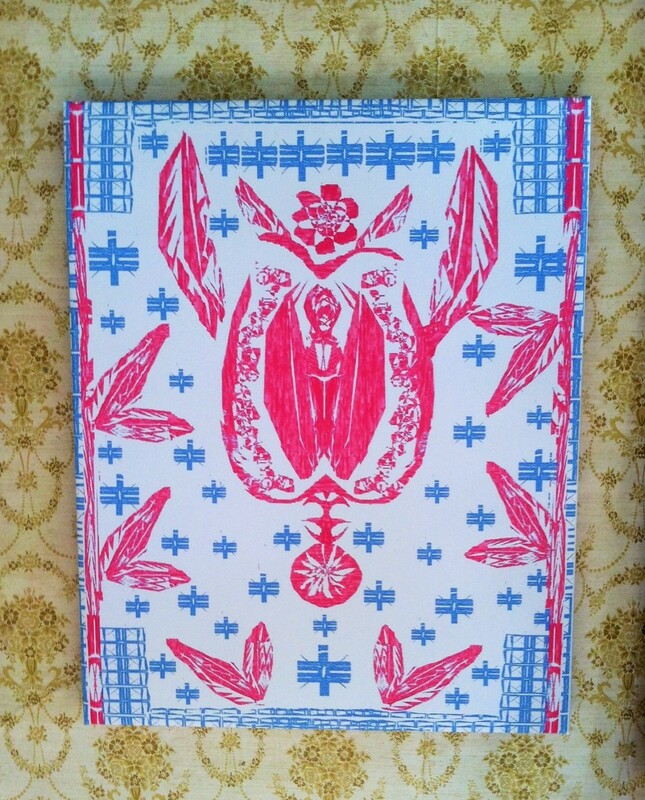 while i am only making 2 canvas of any drawing, i will produce 10 fine paper prints. prints are $25 shipped to your door. canvas pricing varies, as do the sizes.